I give secret help to all gout sufferers, is about your privacy. Thus, I show you how you get secret gout help. 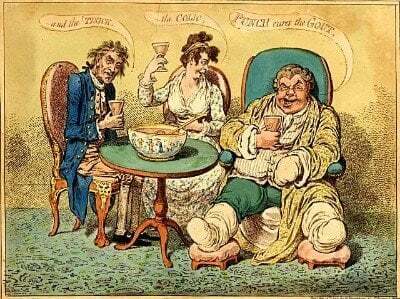 Further, I reassure you with promises of better anonymous gout help. Before I begin, I wrote this for all gout sufferers. Especially those who want to know how to get the best help from GoutPal. But, you might not know about my different help tiers. In that case, return later to read the article I’m preparing. It’s coming soon, to the home page, and to You And GoutPal. Reading GoutPal information is exactly what you are doing now. Hence, it’s completely anonymous. Researching with GoutPal is easy, and anonymous. To explain, my GoutPal Search Engine sits at the top of every page. So, all you have to do is type gouty topics into the box that says “Google Custom Search”. Then, you get lots of relevant information. But, it might not be the right information for you. In that case, how do you get clarification, or more information? At first, I thought I could not give clarification in secret. So, I said advanced help methods were only available to GoutPal members, in my gout forums. Although you could join with an alias, you would still not be truly anonymous. But, now I’ve realised you can keep your questions secret. Now that you know how to use Anonymous Gout Research, you can also start Anonymous Gout Asking. Because, I can see everything that my readers are searching for. To explain, I do not know who you are. But, I know that someone in the world has searched for something. So, you can type your search as a question. Although, I don’t know if it’s a general search question. Or if it’s someone seeking clarification from me. For example, you’ve researched how sugar affects your gout. But, something makes the results ambiguous. Such as, you don’t understand natural sugars in fruit, compared with added sugar. Then, search: “Clarify how does natural sugar in fruit affect my gout”. Now, if you asked that in the forum, I could respond within a day or two. But, Anonymous Gout Clarification takes longer. So, you might have to repeat your search each week until you find the answer. Eventually, I will publish an article that clarifies your question. Search for “how does natural sugar in fruit affect my gout?”. In this case, you choose to include quotes, or not. Read the results, and make whatever private research notes you want. You learn some facts about sugar and gout. But, you are still not sure how much fruit you can eat as part of a healthy gout diet. Search for “Clarify how does natural sugar in fruit affect my gout”. In this case, your search must be without quotes. Repeat step 4 each week until I publish an article: “Clarifying how natural sugar in fruit affects gout”. Sometimes, I will publish a new article. Or, I will add a new section to an existing article. In either case, I will ensure that your search has my clarification article at the top of your GoutPal Search Results. Furthermore, you can use this technique to ask for clarification of any article. In this situation, include the title in your search. For example, you want to clarify something in this article. So, search for Clarify [something] in I give secret help to all gout sufferers. But, replace [something] with the point you are unsure of. Which Anonymous Gout Help Method is best for you? Now that you know how you get secret gout help, what happens next? Firstly, keep practicing your Anonymous Gout Research. Then, you learn how to refine your search phrases based on the facts you discover. Secondly, keep practicing your clarification searches. Finally, you should know that I plan to make this even easier. Because, I’m going to introduce special forms where you can construct better secret questions. If you want to monitor progress, keep reading Improving GoutPal’s Gout Help Methods.